Whether you’re straining your arm to snap a selfie or reaching out with ease thanks to your new selfie stick; weddings are a great place to grab some likeable photos of yourself to upload for absent friends or family to enjoy. What’s the best way to celebrate a wedding? By taking as many photos as possible, of course. If you’re not taking photos of the happy couple (or maybe the mouth-watering prawns served from the barbecue), you’ll probably be taking photos of yourself and your friends. Some might say that social media has made us a vain bunch, but weddings are perhaps one of the times when it’s fine to channel this ego-energy and put it to good use. That’s why forward thinking brides and grooms increasingly make their guests’ selfies extra special by adding fun photo backdrops to the wedding venue. Below are a few ideas for couples that want to inspire a few interesting selfies during their wedding party. When you tell your friends and family you’re hosting a wedding in Thailand, the last thing they will expect to see in the background of your photographs are teepees. However, these tiny tents are becoming increasingly popular at weddings in Asia’s top destinations and they are particularly good for little ones who want a shady beach den away from the sun. 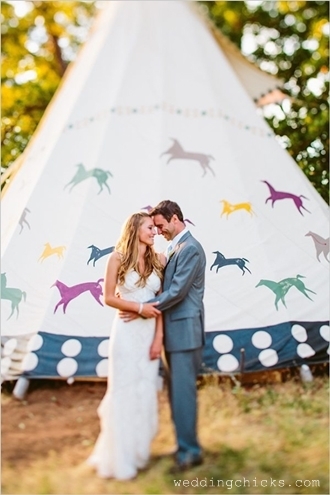 A decorated teepee also makes for a cute, whimsical photo background, and they are certainly something to consider if you want to spice up your guests’ Facebook feed. They are the ultimate stars of the show, which often means that the bride and groom just don’t have as much time as they would like to hang out and take photos with each of their guests… particularly those that want to take 20 tries to perfect their pout. Savvy couples can solve the problem by preparing life sized cardboard cut-outs of themselves for guests to pose with. 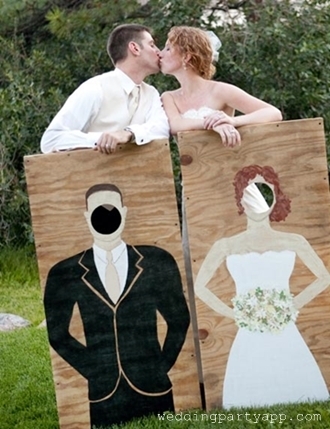 Better yet, the couple can tempt comedian guests by cutting out the faces from the cutout, so selfie snappers can impersonate the happy couple on their big day. A backdrop of marshmallow and sweet streamers are perfect for brides and grooms that want lure guests into the selfie trap. Pretending to snag a marshmallow with your teeth as you try and adjust your phone to the perfect selfie angle is a challenge, even for Instagram experts, so this backdrop will guarantee a few laughs. 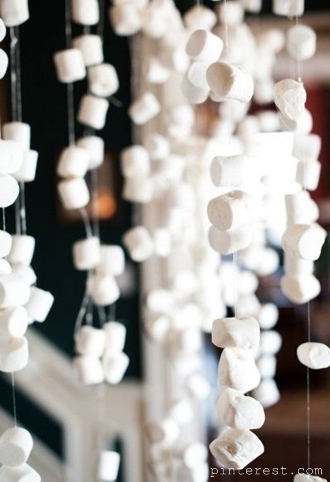 Marshmallow puffs and pastel-coloured bon-bons also inject a quirky vibe into your wedding décor, and it’s going to be a lot of tasty fun for the people who get to dis-assemble the backdrop later on. There are few things tourists love doing more than posing for a selfie in front of a ‘Welcome’ sign. The ‘Welcome to Las Vegas Nevada’ sign graces thousands of Facebook profile picture across the globe, and couples are incorporating this trend into guests’ wedding selfies by fashioning signs of their own. Couples getting married on one of the Thai islands can the most of their location by creating a “Welcome to Phuket” or “Welcome to Koh Samui” sign and placing it in the garden or on the beach in front of their wedding villa. Better yet, a fancy “Welcome to X and X’s Wedding” sign (insert names) can be placed next to the front entrance of the property. Add a splash of colour and some fairy lights to bring those destination selfies to life. For fans of a more elegant approach to selfies, a delicate backdrop of colourful foliage is the perfect choice. Whether you go for leafy jungle greenery, a collage of bamboo or a floral frame of orchids and frangipanis, guests will love the fact that their selfies denote the location. 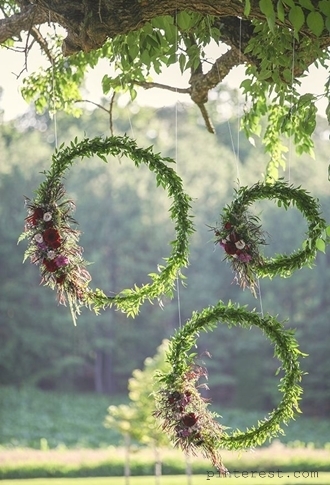 Using only locally sourced flowers and plants also lets you create an exotic natural decor theme for the day, and remember that hanging circular planter frames are the perfect size and shape to surround your face for a tropical selfie snap.